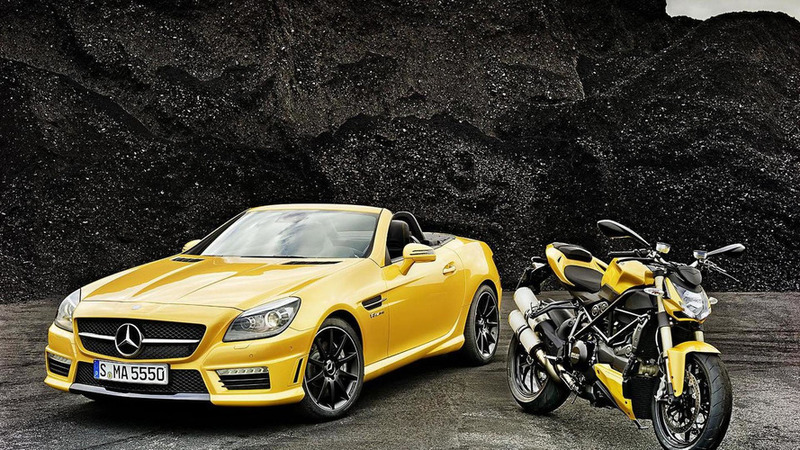 To celebrate the first anniversary of their partnership with Ducati, AMG has announced plans to introduce a one-off SLK 55 at the Bologna Motor Show. 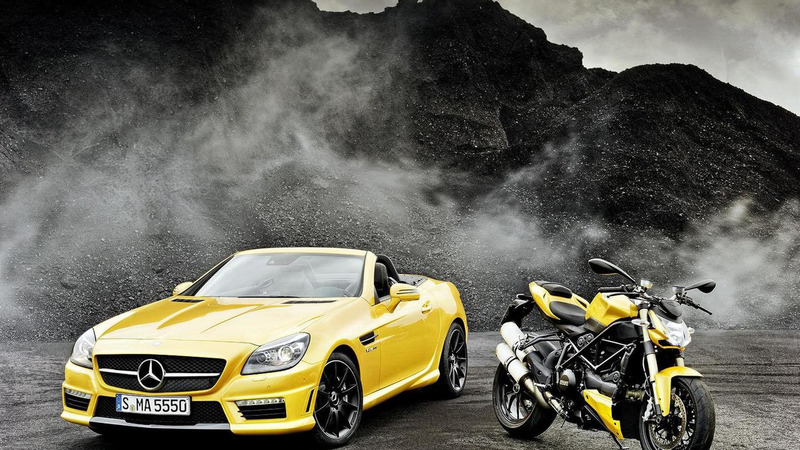 Drawing inspiration from the Ducati Streetfighter 848, the SLK features a "streetfighter yellow" exterior with black alloy wheels. Inside, the cabin has black nappa leather seats, yellow contrast stitching, illuminated sill plates and carbon fiber trim. 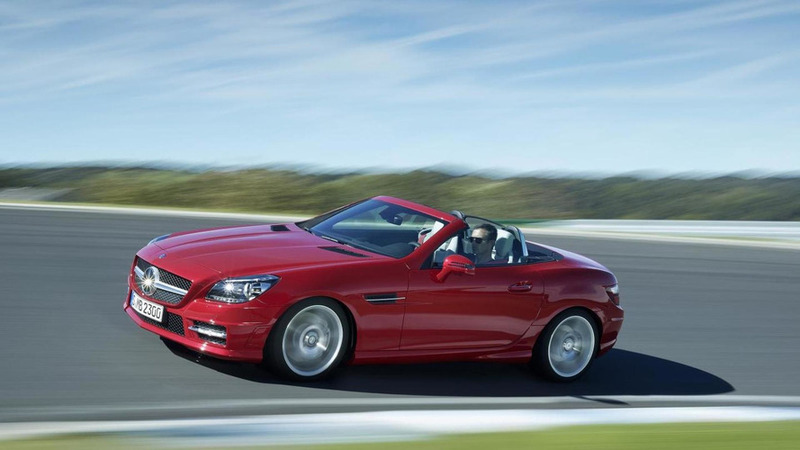 Power comes from a naturally-aspirated 5.5-liter V8 engine with 422 PS (310 kW / 416 hp) and 540 Nm (398 lb-ft) of torque. It enables the convertible to accelerate from 0-100 km/h in 4.6 seconds and hit an electronically limited top speed of 250 km/h (155 mph). In terms of efficiency, the model averages 8.4 L/100km (28 mpg US / 33.6 mpg UK) while having CO2 emissions of 195 g/km.